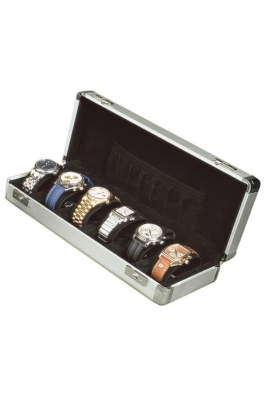 Lightweight anodized aluminum case holds 6 watches. Each watch mounts securely on a padded pillow that can hold large sized watches. For storage of paperwork there is a pouch. The case can be locked for added security.